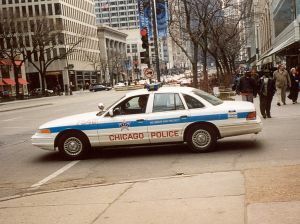 Chicago Drug Crimes – Should Chicago Implement the “Stop, Question and Frisk” NYPD Policy? Have you ever been stopped by the Chicago Police for no apparent reason and are now facing Chicago drug charges? You can most likely relate to the following recent story out of New York City. Following a $14,000 March, 2013 settlement to a Brooklyn man who claimed he was illegally stopped and frisked pursuant to the controversial “stop, question and frisk” policy in effect by New York City—a federal judge ruled on August 12th that the policy was both unconstitutional as well as racially discriminatory. As noted in the decision handed down by Judge Shira A. Scheindlin, (Floyd v. City of New York), the complaints that have been received by several Chicago drug defendants regarding the policy have merit as well. Specifically, a year before the lawsuit and Judge Scheindlin’s decision, the New York City Council introduced legislation known as the Community Safety Act. This legislation first established an independent inspector general to review current police policy and practice regarding the stop and frisk issue. Secondly, the Act enforced a current anti-profiling law and expanded the categories of those protected from such profiling. This has everything to do with violations of the 4th Amendment of the United States Constitution regarding search and seizure. Following the above-mentioned lawsuit, the City Council voted on the Community Safety Act in June. While the Act passed through the Council nearly unanimously, Mayor Bloomberg vetoed the legislation in July, stating “This is a fight to defend your life and your kids’ lives…” Bloomberg has been vocal in stating that any extra departmental oversight prevents officers from effectively doing their jobs and places New York citizens in harm’s way. Many citizens of New York would disagree with the Mayor’s assessment. Keeshan Harley, an 18-year old young black man from Brooklyn has been stopped by the NYPD almost 150 times “without proper cause or fair reasoning,” under the NYPD stop and frisk policy. Apparently, many New Yorkers side with the City Council as on August 22nd, the era of unchecked stop-and-frisks by the NYPD ended when Bloomberg’s veto was overridden. Bloomberg vows to keep fighting the issue, claiming the Act a “dangerous piece of legislation.” Bloomberg’s opinion may have merit as well—those bent on committing crimes in New York City seem to have gotten the “memo” loud and clear following the Council’s decision. One police source claimed he would start carrying his gun again and that once the number of stops decreased the number of crimes would skyrocket. With police officers under threat of a lawsuit any time a suspect could potentially claim profiling, it is believed that good officers will simply “look the other way,” rather than risk their jobs and their pensions. This allows police to stop an individual, ask for name, phone number and the disclosure of any tattoos however the officer may not make physical contact without probable cause. Nevertheless, Chicago police are not completely exempt from racial profiling. Four interns for Rainbow Push have accused Chicago police of racial profiling as the four young black men, ranging from 19-21, were stopped and handcuffed as they were walking toward a bus stop. One of the young men attends Chicago State University and is seeking a degree in criminal justice. The young men suspect the police were looking for guns—although no weapons were found during a pat-down. Police officials defend the actions of the officers stating the area is well-known for gang violence and that one of the young men refused to remove his hands from his pockets when asked. Anyone who has ever suffered under a racial profiling policy on the part of a police department is well aware of the damage and disruption such actions can bring. Chicago drug crimes attorney David L. Freidberg has been defending the constitutional rights and freedoms of those accused of a criminal offense for over seventeen years. Mr. Freidberg is a seasoned attorney who will never back down from a fight and will always go the extra mile to zealously defend his clients. Those who need immediate, experienced legal assistance can call 312-560-7100, twenty-four hours a day, seven days a week or can contact the Law Offices of David L. Freidberg through his website.